I think we all know it's been a very loooonnnggg winter! Lots of cold, wet testing over the off season with a crash too! 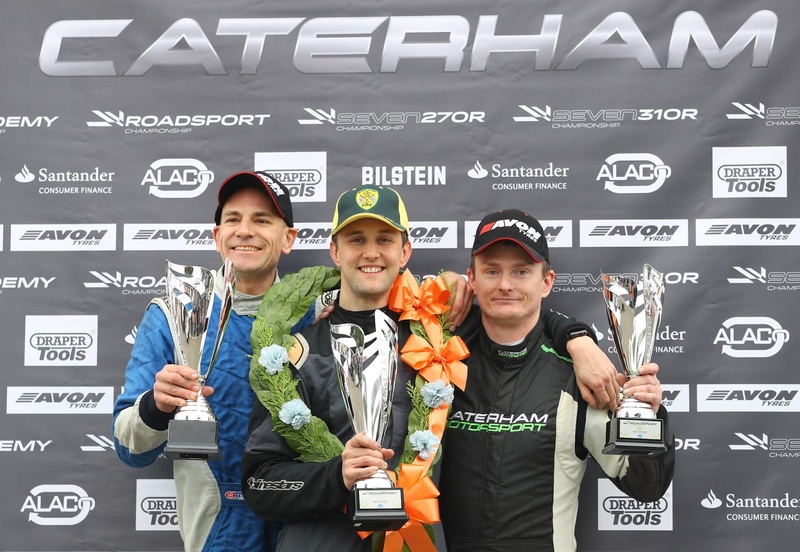 Nevertheless, last weekend was the start of the 2018 Caterham Motorsport championships at Snetterton 300 circuit in Norfolk. I arrived at the circuit on Wednesday evening, got setup and ready for two test days on Thursday and Friday before the race weekend. Testing was predominantly wet, so tyre wear was minimal (which wasn't ideal). Qualifying went reasonably well, I qualified fourth on the grid a couple of tenths off the pace, (2nd row was the lowest I wanted), but I messed up a decent lap in qualifying, so knew I had the pace to make up a few places in the race. The first race of the season, started well, swapped places for the lead with James Murphy for the first two thirds of the race, then dropped back after letting Matt Sheppard past down the Bentley straight. I tried to stay composed and make a last lap challenge for the podium, only to be thwarted by a gearbox issue (at 20:00mins in the video) which initially surfaced on the second day of testing. I eventually finished fifth and my vbox video was over-exposed, so this footage is the hayfisher media gopro - which has been set at an awesome camera angle, so I will definitely be using my Gopro's set at this angle for future video's. The grid positions for race two of the weekend are decided by your finishing position in race one, which meant I started on row three in fifth. 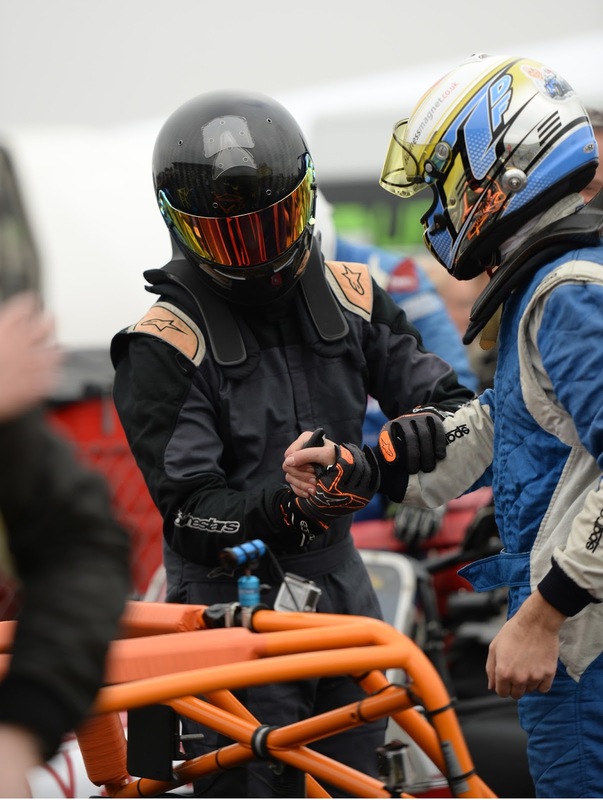 Determined to make up some places and get back into the mix, I got another good start, battled for the lead, dropped back, picked the places back up, but, and on the final lap from second position I had more gearbox problems - which no doubt cost me a shot at the win. 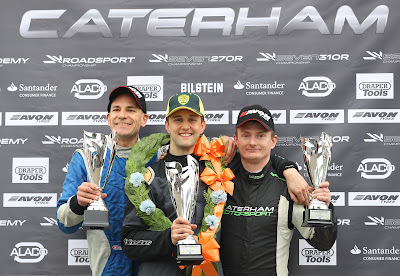 James won both races, and drove impeccably all weekend - top work! James Murphy drove impeccably all weekend. There was a little damage to my car after a few love taps in race two - all in a days action when racing as closely as we did - so to be expected. 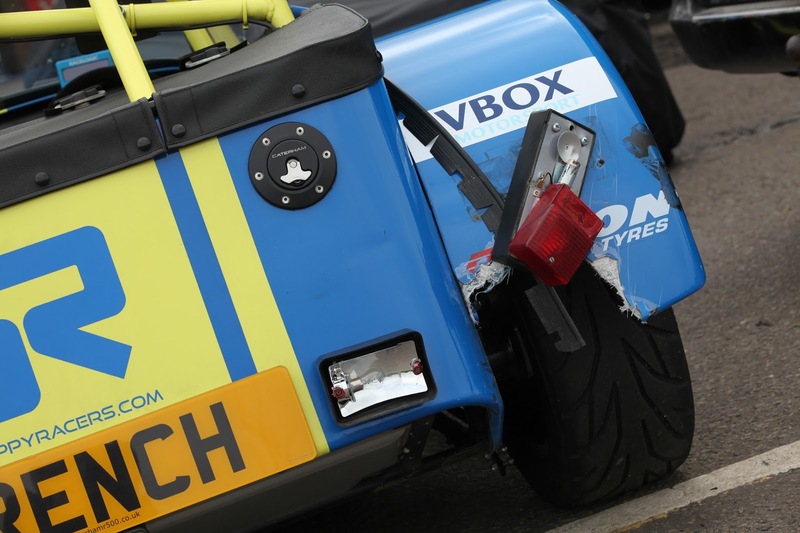 The nearside wing is a little broken and can be repaired, but the off-side wing, rear light and fog light all need replacing before Knockhill. As I've mentioned earlier in this post, I've been a little unfortunate with gearbox issues in both races - when shifting from 2nd to 3rd gear, towards the end of the races the gear lever is engaged in third, but there is no engagement of the gear and I'm left hitting the limiter with a box of neutrals. DPR have taken the car back with them from Snetterton to investigate, and remedy. Round two of the season is at Knockhill - Scotland, and is being run anti-clockwise which should make things very interesting indeed! Looking forward to it already!